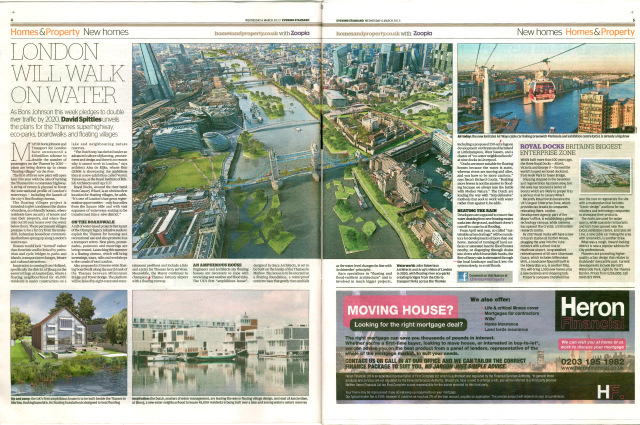 The Evening Standard has featured Baca in an article on water strategies for the rejuvenation of the river and use of the redundant London Royal docks. This is a subject close to our hearts at Baca, having developed plans for the Silvertown quays site, a floating cinema as catalyst for the under utilised waterways and river bus terminuses. We can only hope that plans to reinvigorate London’s fantastic water spaces are taken seriously.